I am always on the hunt for beauty products that last all day and are worth my money, whether that be fragrances, skincare products or makeup. As months have gone by and I have tried out different products I have managed to write down the products that last all day and ways to make them last just as long. 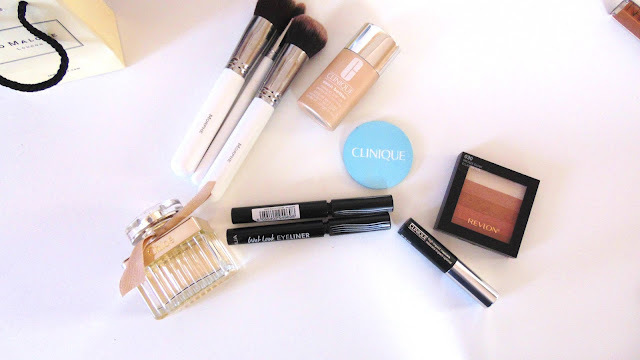 Clinique Even Better Foundation, £25. Purchasing this foundation roughly 10 months ago, this small little bottle has lasted me this long, bear in mind I do not wear makeup every day. With a makeup brush, I do not like the finish that this foundation results in so personally I prefer to use the Real Technique Miracle Sponge damp to apply this on. The result is a lot better, lasts all day and highlights my complexion essentially making my skin look even better! 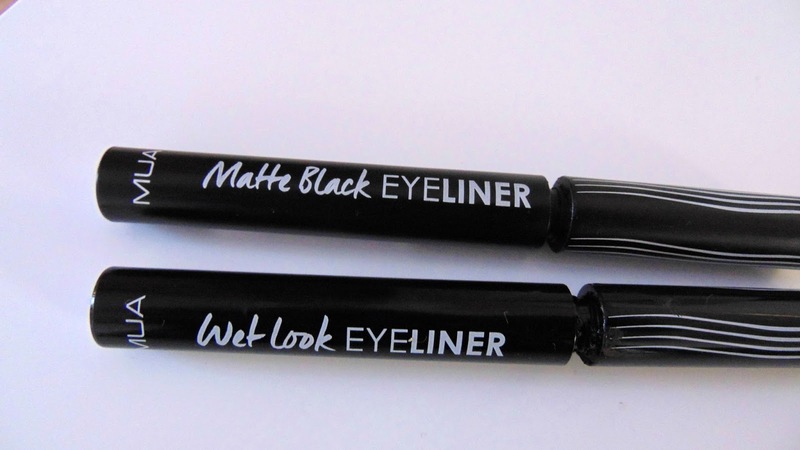 MUA Matte Black and Wet Look Liquid Eyeliners, £2. Best liquid liners ever! But if I had to pick between the two it would have to be the Matte Black one! I have cried heavily with both of them on and neither smudged. They apply on so well, however, the only thing I would have to say bad about these products would be is that it is hard to take them off. Sometimes I have to use a balm and cleansing water together, just because the formula is hard to take off. Oh, how I love this perfume. Received this as a present for Christmas and haven't stopped using this perfume on a daily basis. With its woody fresh tone with cedar, amber and peony, this fragrance lasts all day and then some. I don't have to spray this on my clothes all the time because the scent is embedded into my clothing that even after a wash they still smell good. Perfect choice of fragrance. High coverage concealer for a relatively cheap price. On the search for high-coverage concealers, I came across this much raved about concealer. Glad I made the choice. The applicator makes it easier to apply on your face, the concealer itself lasts all day and doesn't crease under your eyes especially if you set your concealer. I personally don't like the feeling of wearing makeup, with this concealer it does not feel like I am wearing anything heavy under my eyes. Drugstore highlighter that lasts all day, with this palette as a dupe for the Bobbi Brown Shimmer Brick, I thought that it might not live up to the expectations that I had thought. However, I have fallen in love with this. I use it on a daily basis around my face and it gives such an effortless, beautiful glow to my face. As a drugstore product, I had a feeling it would not last all day but it does. The glow stays the same throughout the day. Now, I have not bought the full size of this mascara as I got to Clinique all the time so I am always given the sample sizes, I think I currently have 3 sample sizes left. Been using this for a very long time and I have been asked 'if I wear false lashes' which I don't on a daily basis, therefore, I know this mascara is great for the lashes. A way to make your lashes look great with this mascara would have to be curling them before use, to make the curl last much longer. What products last all day for you?